Diesel concrete mixers are mobile type, very convenient to move anywhere. The drum rotates in one direction for mixing and in the opposite direction for discharging the concrete. There are two types of blades attached to the inner walls of the drum. One set drags the concrete upwards and toward the center of the mixer when the drum rotates in one direction; the second set of blades pushes the concrete toward the opening when the drum rotates in the other direction. The blades have a spiral arrangement to obtain the desired effect for discharging and mixing. Diesel concrete mixers are suitable for mixing plastic and low-slump concrete. It is widely used in roads, bridges, water projects or other industrial and civil projects, specially most popular in tight-electricity countries. 1. Diesel concrete mixer uses diesel to work. So before working, users must check whether there is enough diesel in the tank or not. 2. In the process of using diesel concrete mixer, if there is not enough diesel, users can add diesel without stopping diesel concrete mixer, but they must be careful in the process. 3. Users should usually clean diesel concrete mixer and change diesel. 4.Users need usually check the bolts and nuts. If bolts and nut are loose or lost,you need to repair them on time. 5.when finish working ,users should clean up diesel concrete mixer thoroughly and keep the diesel tank clean. 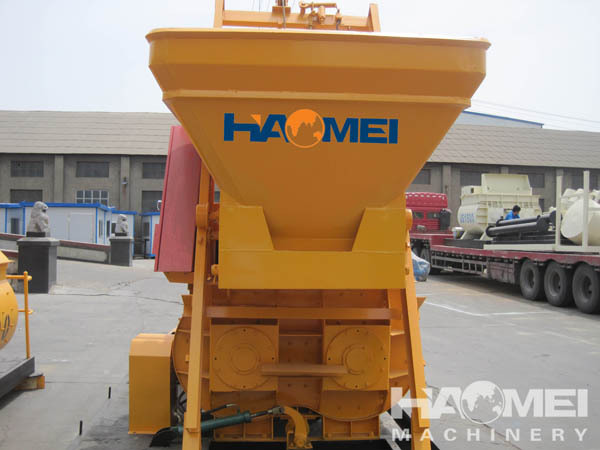 Hope these information can help you correctly using diesel concrete mixer.if you have any other questions about diesel concrete mixer,you are welcomed to visite our website:haomei Machinery .